Susan Heim on Parenting: Combat Dry Winter Skin with D’Or Facial Cream from Gold Elements! 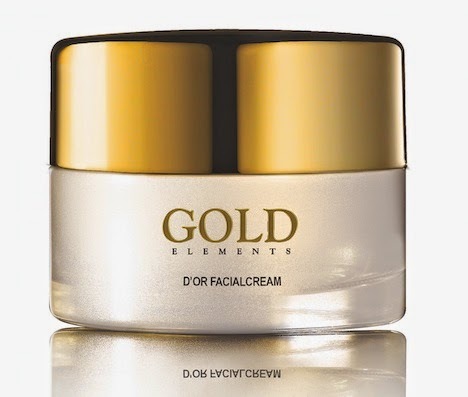 Combat Dry Winter Skin with D’Or Facial Cream from Gold Elements! When I was young, I never paid much attention to my skin, except when it would break out! I didn’t moisturize, and I spent way too much time in the sun. But now that I’m older, I understand the importance of taking better care of my skin. Fine lines and wrinkles are starting to show up, and my skin is definitely drier than it used to be. That’s why I’m very consistent now in using moisturizer, especially when I go to bed. When you use the cream, there are no visible signs of the gold, but I love the way it feels on my skin. D’Or Facial Cream is not too heavy, like many moisturizers, and smoothly glides over my skin. It hasn’t caused any breakouts at all, making it especially good for people with sensitive skin. It has a light perfume scent, but it’s not overpowering, which makes me happy. Best of all, my skin looks terrific! People tell me all the time that I look younger than I am, and I’m certain that part of that can be attributed to taking good care of my skin. Along with using D’Or Facial Cream, that includes washing my face daily and staying out of the direct sun. You can find D’Or Facial Cream at http://goldelements-usa.com. It’s a little pricey at $149 for a 1.7 fl. oz. jar, but a little bit definitely goes a long way and lasts a long time. If your resolution for 2015 is to take better care of your skin, or if you’ve been interested in trying skincare products that contain gold leaves, I encourage you to give D’Or Facial Cream from Gold Elements a try! Follow them on Facebook and Twitter, too!